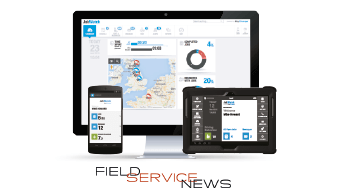 Launched three years ago, JobWatch was developed to give field service businesses of any size everything they need to plan, manage, schedule and track their mobile workforce. The easy to use, simple to implement system combines back-office, mobile app and real-time vehicle and resource tracking in a single cloud based solution. It provides end-to-end management of the entire service process from quotation all the way through to invoice including intelligent planning and scheduling. A whole mountain of paperwork is replaced with automated workflows on the JobWatch app that guides mobile engineers or drivers through all their tasks. 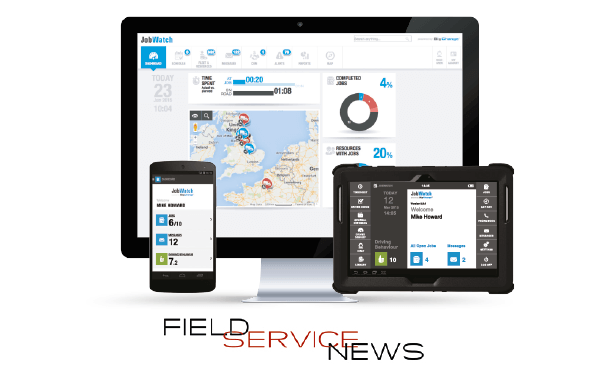 Among the users are nationwide hire companies Nixon and Elliott Hire who are using JobWatch to streamline the servicing of equipment and portable toilets across the UK. The Forestry arm of Komatsu uses JobWatch to manage the servicing of huge timber felling and processing machinery. JobWatch is proving to be a growth catalyst for startups such as waste and recycling specialist Clearabee who adopted the system back in 2013 when they had a single vehicle. Their business has grown rapidly and the company now serves over 30,000 nationwide clients across 15 sites with a team of 50 employees.